PTFE coatings identified with the prestige brand names of Teflon® and Xylan® demand the highest quality standards and PTFE Applied Coatings is proud to be associated with the best fluoropolymer products on the market. 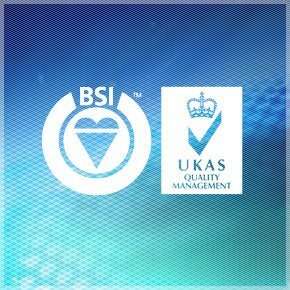 It is paramount that the systems developed within our business, not only support the range of products manufactured by both Chemours™ and Whitford Ltd™, but comply with the latest British Standard, BS9001:2008. PTFE Applied Coatings obtained registration to the British Standard back in 1990 and since then we have worked and developed relationships with many other company organisations, providing the confidence required to meet the challenges within many precision engineering disciplines. Working closely with other organisation and companies, has provided PTFE Applied Coatings with a unique opportunity to transfer our knowledge and experience of PTFE coatings to assist engineers with some demanding requirements. Design engineers, some at the pinnacle of design concepts, from aerospace to Formula One, have been supported and informed of the benefits that can be obtained from the PTFE coating range by PTFE Applied Coatings. The service that is offered to customers can take the form of coating solutions, followed by PTFE application onto production components, as well as a service of consultancy. Working with design engineers from the concept stage to coating trials and then onto process identification, leading ultimately to full technical handover to customer. PTFE Applied Coatings has established a portfolio of services that has the ability to fully support industrial markets as required by prevailing modern engineering criteria.